As our nation’s birthday approaches, The Oxford Comment pays tribute to an institution that has influenced American identity from the very beginning: the bar. Over lunch at The Ginger Man in New York City, Christine Sismondo discusses American vs. Canadian drinking culture (can you guess whose is better?) and why prohibition doesn’t actually increase drinking. 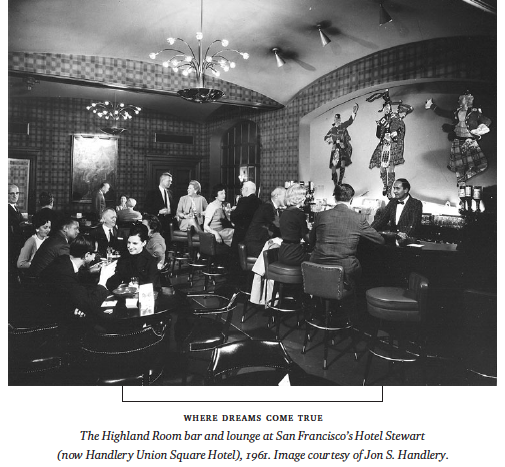 Christine Sismondo, cocktail columnist and author of America Walks into a Bar: A Spirited History of Taverns and Saloons, Speakeasies and Grog Shops. Christine Sismondo: American bars are a lot more dynamic in general. As soon as we, we drove here, and we stopped in Scranton, Pennsylvania. We went to Ruby Tuesday. Christine: And, I mean, it’s not exactly painkiller, right? You know, this is a chain bar. And I looked at the menu and they had pretty good cocktails, and everyone at the bar was talking to each other! Michelle Rafferty: What did you get? Christine: Oh, I think I just had a margarita. Michelle: And you just heard us chatting at the local bar The Ginger Man with author Christine Sismondo who just wrote a book for us called America Walks into a Bar: A Spirited History of Taverns and Saloons, Speakeasies and Grog Shops. Justyna: And Christine is Canadian. She is also a cocktail columnist and actually schooled Michelle and I on the fact that American bars are superior to Canadian bars and that even includes our lovable chain Ruby Tuesday. Michelle: Justyna, I’m looking at their menu right now, their cocktail menu, and they have something called a “Ruby Relaxer” which has been around for 35 years. Ooo and they also have something called a “Lavender Pear Martini” which is new, a “Watermelon Martini” and, a “Pomegranate Margarita.” I think these all sound like very promising drinks for the holiday weekend. Michelle: Mmm. Which brings us to the real reason we’re having the podcast today. What better way to celebrate America than with drinks? Michelle: That was the sound of two cocktail glasses toasting. And without further ado, we take you back to the bar for the rest of our conversation with cocktail expert Christine Sismondo. She’s Canadian and proud, but does admit America has way better bars. Christine: American bars are much more interesting for the large part than Canadian bars and they have better selection of drinks because of where I live in Ontario. We are first of all, the equivalent of a control state, like Pennsylvania where it’s very hard to get interesting liquor in. Michelle: What does that mean, a “control state”? Christine: In the liquor legislation there are some control states in the United States, which are states where the sale and importing and distribution of alcohol is controlled by the actual state. New York State is not one of them. That’s one of the reasons why New York is relatively cheap, fairly vibrant, has a lot different selection. Pennsylvania on the other hand, it’s a much tighter control over the type of liquor. And Ontario, where I live, is absolutely atrocious, and it’s just starting to get a little bit better. For example, we didn’t have legal cocktails in bars until 1947. And I can remember when I was a kid you could never just walk through a store to buy your liquor or your beer. You had to go up to a counter, just like you were getting a prescription at a drug store, and put in your order, and then somebody would go to the back and get you your little mickey of gin and sell it to you. And you had to have ID, and some places they even had a passport kind of thing so they could look at how much you bought over the year. Michelle: So if someone was buying a lot what would happen? Christine: Well, in Ontario until sometime in the 1980s they had, and this is terrible, what they called the “Indian List.” And the “Indian List” applied to all First Nations people and also to anybody who was known for drinking too much. And they would actually be barred from buying at our controlled liquor stores in Ontario. So obviously the most scandalous part of that is the fact that Native North Americans were automatically on the list. Christine: Right. But you know, it’s just really, there’s a big difference. And it’s because of the laws. Justyna: Christine, do you think that since it was so restrictive, did it actually cause more bad behavior? Christine: I think that’s really hard to say. Not to get too academic about it, we’re so invested in this idea that prohibitions create bad behavior that sometimes we make more of it than we should. For example, prohibition in America, everyone says this: “Oh they drank more during prohibition than they did before.” And that’s not true. People actually drank much less during prohibition than they did before, because it was really expensive and it was really hard to get. So the type of drinking that happened may have been more dangerous because people have a tendency in a control state, they still drink less because it’s hard to get it. But they tend to drink maybe more dangerously because they’ll buy a larger quantity, maybe from a smuggler, and it might not be safe. And you don’t have a nice atmosphere where you can order just a beer and food. You have to drink it in the back ally. It leads to a different type of drinking. Yeah. An uglier type of drinking I think most people would say. Michelle: So you were saying Ontario is a control stay. What’s your favorite drink that you can’t have at home that you can have here? Christine: Framboise beer. This one’s really good. I love Framboise beer. It’s one of my favorite things. Michelle: What is it, Framboise? Christine: It’s a dark raspberry beer. Go ahead and try some. Justyna: Mmmm. It’s like jam! Michelle: It tastes like raspberry! Christine: I know it really does, doesn’t it? Not like bullsh*t raspberry flavor. Right? It tastes like actual raspberries. Justyna: That is so lovely. Michelle: To Christine and her new book! Headline image credit: Bar. CC0 via Pixabay. In America Walks into a Bar, Christine Sismondo recounts the rich and fascinating history of an institution often reviled, yet always central to American life. She traces the tavern from England to New England, showing how even the Puritans valued "a good Beere." Christine Sismondo is a writer and lecturer in Humanities at York University in Toronto. She has written numerous articles about film, literature, drinking, and vice, as well as the book Mondo Cocktail, a narrative history of cocktails. While some parts of the US may have a “better” bar culture, I think there is a very different attitude towards alcohol between countries which, depending on your point of view make one better than the other. While Ontario (where I am also from) has stricter laws than some places it is by no means difficult to get booze here – you do say hard to get “interesting” liquor but the sense you give is that it is hard to get any alcohol, which is not the case. Places like Quebec & NY have more relaxed liquor laws than in ON, but we do have ready & easy access to booze. While the Ontario government is still rather paternalistic in this regards, if I were to make a generalized comment about our two drinking cultures I would say, overall, there is more of a moral argument for liquor control in the US. There are far more “dry counties” in the US than you would find in Canada, for example. There is also the question of age of the majority – 18 or 19yrs in Canada, depending on Province, 21 in the US. From what I have seen, this leads kids to the potentially more harmful, “uglier” drinking as you mention was seen during Prohibition. These cultural differences between two neighbouring countries who are so close in many ways are really interesting. I look forward to reading this book & seeing how attitudes have changed over time in the US.